While some people are skeptical about the benefits that meditation may bring there’s a growing number of scientific research that is now backing up these claims. 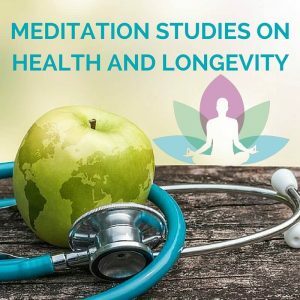 One of the benefits of meditation that has always been of interest to me is that of overall health and longevity. This led me to an in-depth study of the correlation between meditation and health. As a result, I spent the past 20+ years learning about how my body works, what part the immune system plays in staying healthy, and the impact that thoughts and emotions have on our health and well-being. 1. Meditation can help to reduce stress. I used to suffer from anxiety and panic attacks that resulted from ongoing money stress. It’s well documented that long-term stress is dangerous for the mind and body as it can lead to anything from headaches and fatigue, through to depression and coronary disease, or even cancer. 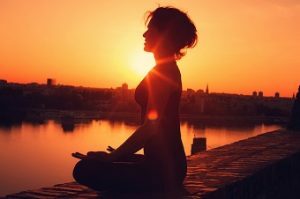 My research into the positive impact that meditation can have on reducing stress revealed that 20 minutes of consistent meditation a day was best for optimal results. It works by helping to reduce the grey-matter density in the part of the brain that is connected to anxiety and stress. Instead, it triggers a ‘relaxation response’ that calms the mind and body. 2. Meditation can help to improve sleep patterns. One of the big factors in keeping our health on track is getting a good nights sleep. The more sleep deprived we get, the more damage we are doing to ourselves both mentally and physically. That’s why insomnia is such a thriving business in the pharmaceutical industry. I have found that the best type of meditation to help with improving sleep patterns is progressive muscle relaxation. When we go to bed and our mind won’t let us fall asleep it’s usually because we have a lot of tension stored in the muscles of our body from the stress of the day. Progressive muscle relaxation helps us to get rid of this tension so that the body relaxes and we can fall peacefully asleep. 3. Meditation can help to boost the immune system. My studies into the immune system and how vital it is to keep it strong so that we can have sustainable health and longevity – was life-transforming. If you haven’t looked into it yet, then I would highly recommend you do so. Without knowing how to keep your immune system strong, you are always at risk of your bodies natural defence systems being weak. One of the studies conducted by Harvard Medical School revealed that demonstratable changes occurred in the brain and immune function as a result of mindful meditation. While meditation does help in this respect, we also need to be mindful of what we put into our bodies and how we manage stress. It’s a combination of lifestyle choices that ultimately makes the difference. 4. Mindfulness meditation can reduce feelings of loneliness. These days more and more people are turning to their mobile devices to feel more ‘connected’ to the world around them. While this may distract you for awhile, if you have a deep sense of loneliness that you are running from, then all the distractions in the world won’t help long-term. Loneliness can lead to feelings of depression or even suicide in some people, while for the elderly it can lead to an increased risk of morbidity. By practicing mindful meditation for 20 minutes a day it can help to reduce feelings of loneliness and give you a greater sense of inner-pace. 5. Meditation can help reduce blood pressure. High blood pressure is something that many people end up having to deal with. It can result from stress, being overweight, smoking, lack of exercise, insomnia, and several other factors – most of which are in our control. It makes sense then that while meditation may help, ultimately it comes down to the way you choose to live your life. While meditation may not necessarily be the miracle cure that everyone is looking for when it comes to health and longevity, when you factor it in as part of a healthy lifestyle choice then you are giving yourself the best chance for a long and productive life.